Product details During the 1960’s and early 1970’s, the best hashish in the world was purchased in tea-houses in Afghanistan. Its resin was sticky, its colour and texture were pure, its tangy taste was as sweet as honey from heaven, and its high was a dreamer’s paradise. Product details To this day, the most silent but highest achieving plant coming out of the MNS camp since Super Silver Haze is the Mango Haze. This was made with the proven parent line that SSH came from as well as a long line of pedigree winning and highly performing plants. Product details If there was a plant close to perfect in flavor I would advocate this one. It will leave your mouth watering, and the body wanting more. The possible complex interaction and combinations of terpenes will simply amaze all that grow her and the remedy for others will flow from the taste. Product details This was to be a limited edition seed but due to popular demand from all levels and styles of growers this hybrid is finding a regular place in the MNS Hall of fame. The Afghan Skunk combination is full of fruity undertones and berry flavors combined to the Afghan Haze male which gives it a pungent and recognizable smell and taste. Product details From the moment this combination of cult status parent plants were mentioned, a lot of curiosity and expectation was felt vibrating in the MNS camp. Product details A reworked excellent version of an old breed once known as Big Bud. This is an absolute must for the cultivator who demands a high yield with an equally high stone. It is the heaviest plant currently in production for commercial farmers and outdoor crops, resembling the male genital protrusion of a giant donkey. Product details A wonderful union in the making. Since Critical Mass has stormed the stoners scene in Europe and gained recognition in other places world wide, its cousin Critical Skunk is a great alternative to those who wish to get a plant that has all the facets in a plant that will make the grower and user equally as happy. Product details The definitive plant for those interested in outdoors/greenhouses. Due to its Afghani pedigree, taste, reddish aura, and magical mind journey tendencies, this plant provides quite a wonderful therapy. No one can be unhappy possessing this nice devil (and a righteous one at that). Product details Go forth into the MR. NICE dreamtime, anytime. A selection of mixed indoor varieties of excellent parentage including Skunk, NL, Haze, and Afghan. 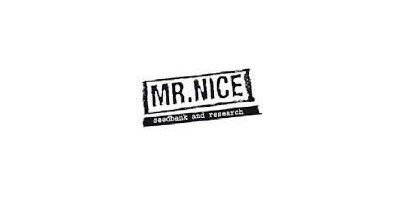 Highly recommended for the first time grower or those that search for an economic solution to their problems. Product details This is a limited edition seed that has a unique scent and flavor and due to its early finishing side has been a great influence on the practical Haze hybrids. Now it is possible to select for a Haze influence in flavor and a quick growing and substantial yield for a flowering plant without sacrificing anything on effect. Product details Since the beginning of the 1990s, this three way hybrid has earn acclaim in the cultivators world. It is quick to finish both indoors and outdoors and is, therefore, perfect for cold climate countries in the northern hemisphere. The flowering cycle is expected to be between 6-8 weeks with indoor cultivation. 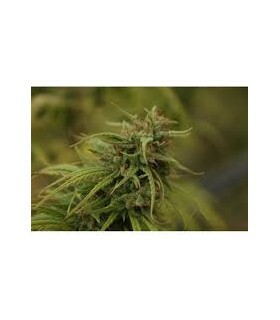 Product details Noted for its fast flowering and quickness to be completed in outdoor, greenhouse and indoor grows. It has a certain appeal to those growers in colder climates with short seasons. The combination of Early Pearl with Skunk #1 means its will be completed in a 7 week flowering cycle. Product details Early Skunk x Afghan Haze of Mr. Nice Seeds comes from the cross between a Early Skunk et une Afghan Haze. The result is a strong Sativa dominant hybrid, robust, easy to grow, flowering short, powerful and productive. Over the past decade in the cannabis culture, there have been several new hybrids developed that took the cannabinoid levels to some significant heights inthe growing plant. Since it is becoming the most sought after research topic worldwide by numerous professionals in this area, this combination a most interesting and intriguing plant to work with. Product details This is probably one of the biggest mainstream cannabis media stars, due to the rather colorful mythology that surrounds the stories of its origin. Before the female clone of G13 lost its vigor for life, we at MNS combined it with several other stable hybrids to preserve the genetic pool and enable growers to explore and discover. Product details A family member that had previously been kept private for The Family. Known also as El Nino (Bio Cup 98 HTCC) but it is better as a female therefore the name change to La Niña. It manifests characteristics that are predictable, contrary to her previous name implies. Product details This strain is a parallel line to the Super Silver Haze, i.e. it has the same Haze father and the mother is a sister of the SSH. Accordingly, the genetic makeup of this strain is 25% NL5, 25% Skunk and 50% Haze. Product details This is a limited edition seed that has well established roots in the Afghan dominant side of plant expression. The Master Kush is a proven winner along with the Skunk and Haze sides of this complex hybrid, and the phenotype of this seed are all trustworthy for all levels of grower. Product details A proven Medical marvel for those in need of high levels of the most active cannabinoids such as CBD. Almost toxic at times, so handle with care and don't abuse the medicine, man . It has won many awards since its introduction as the white rhino in the late 90's. Product details A tribute to the father of all modern seed companies, Neville Schoenmakers. There is something very special about this 3/4 sativa that those in the know will recognize once they smell the end product. Product details The combination of these two plants awakens the appetite for even the most moderate user/grower of sativa based hybrids. The genetics making up this complex hybrid combine the two Haze males utilized by MNS. This seed is basically comprised of 12.5% skunk, 25% NL5, and 12.5%Haze A male, 50% Haze C male. Product details A lot of growers have waited patiently for several years to get the original Neville's Haze seed for their garden. Product details Since Neville brought the NL5, Haze and Skunk into being as stable hybrids in the late 80s and offered them as seed, these strains all became well known and loved by their growers in all parts of the globe. Product details When people/growers and medical patients ask for a strain to incorporate flavor and effect then it is always a recommendation. The strength of combining different land races of Afghanistan into a plant leads to strong flavors and fruitiness fast flowering compact plants. Product details Nl5 x Haze is and has been a dominating force in the Cannabis scene and history of breeds. Since its inception in the late 80s as a seed strain, it has ubiquitous uses in the world of cannabis and is probably the single most important strain ever made that allowed a sativa to express itself in all facets of the plant equally. Product details While its two parts could be viewed bigger than its whole, it is a strain that is a must grow at some stage for all level of growers. Product details Ortega was originally made a little different from Nevil when he was doing his Seedbank thing with Sensi...Shantibaba made a selection from an old school set of seeds that originated from NL#1 and NL#5...from mid 80s. Product details This is definitely the most successful breed of the late 90's, since its inauguration by Shantibaba as great white shark.It has genetic heritage equally as famous and has been awarded a multitude of cannabis cups under the names of the peace- maker and the great white shark. 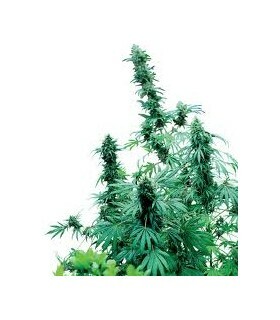 Product details An absolute classic and original Skunk/Afghani that has won more awards than you have had hot dinners! It is a sure-bet for the first time cultivators of either interior ,exterior or glasshouse growers. The yield will be extremely substantial with expectations between 550-650 grams per square meter. Product details One of the solid proven pillars of the Cannabis scene. It has the possibilities to find all you ever wanted in a breed...yield, flavor, look, resin production and a treat for those who like to make hash. Product details Spice up your life with MRS. NICE! She is bubbling with rapid growth , well endowed and an absolute beauty as her name suggests. Her pedigree has blossomed out of the union of a Hawaiian indica x Hawaiian sativa and is a stable hybrid that no curry eater can live without. Product details A champion of champions since winning its hat-trick at the 1997, 1998, and 1999 High Times Cannabis Cups and comprising of the most commercial strains known to the uncivilized world: Skunk, NL and Haze. Such achievements confer an undoubtedly regal pedigree. Product details Bred from complex parallels to combine allot of genetic material from proven male lines of outstanding pedigree since the 70s. This limited seed line has secrets in it if nurtured well and selected with all one`s senses. Product details Not for everyone as it will test the level of endurance and patience! But like all great events in the life that take time this is one to be savored with special events like a birth of a child or a wedding...Euphoria lies in the seed that awaits you!. During the 1960’s and early 1970’s, the best hashish in the world was purchased in tea-houses in Afghanistan. Its resin was sticky, its colour and texture were pure, its tangy taste was as sweet as honey from heaven, and its high was a dreamer’s paradise. Probably one of the most favorite effects growers look for is found on the Master Kush side of strains. Bringing the double Haze male opens the possibilities to Heaven on a stick, or should I say a flower! The Early Queen strain has unique flavors in its genes and combining it to this special male pedigree line only leads to infinite possibilities...Dreams are made from these ingredients...so just add water!